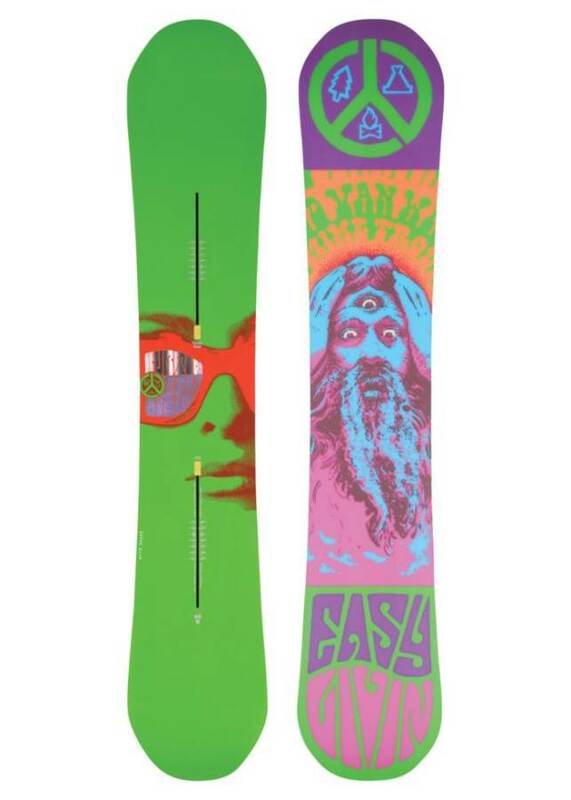 So the Burton Easy Livin is a fun playful hybrid rocker twin that owns it in Good conditions but isn’t ideal in hard conditions. This could make the right rider very happy. 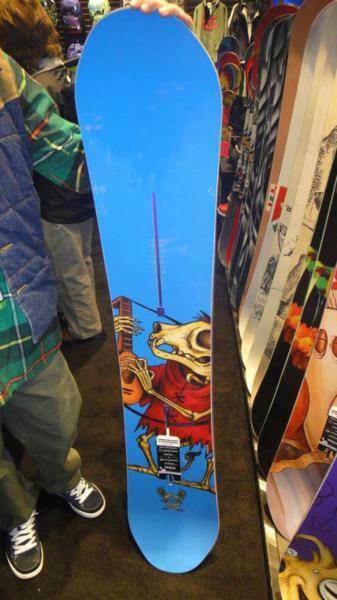 This is great for smaller lighter riders but if you run a little thick it might not be your board. Conditions: Good snow in some places and semi-hard snow in others. Here is a quick break down of how Burton’s hybrid rocker profile is different from most hybrid rocker boards out there. Here is what most people are doing with hybrid rocker. There is rocker in the middle and then the camber doesn’t make it all the way back down. 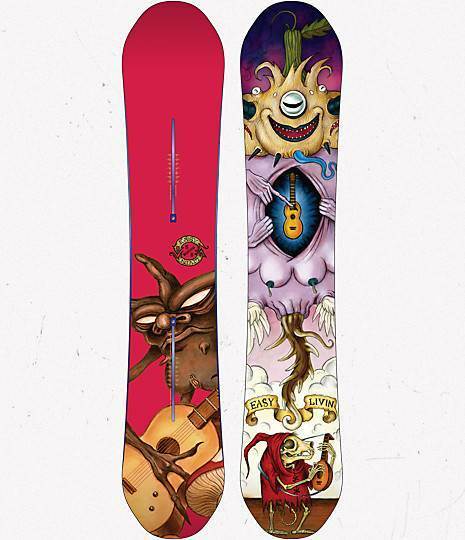 As you can see with Burton there is one more rocker bend than the hybrid Rocker most people have out there. 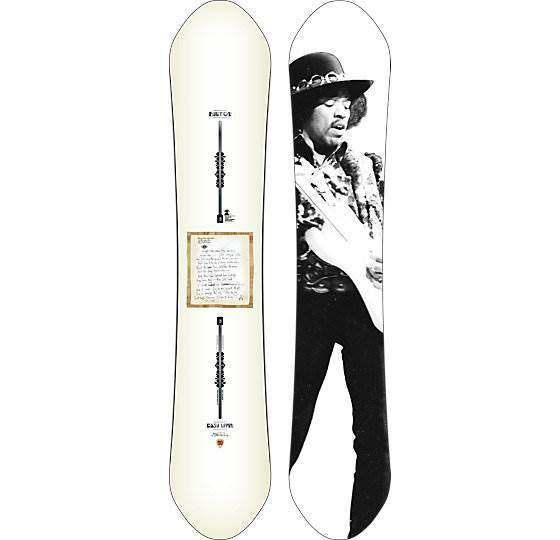 On Snow Feel: Like all Flying V boards they are very loose and playful. They feel like a half step more stable than most continuous rocker boards and a half step less stable than most hybrid rocker boards. In harder snow, it feels really loose and chattery even at slower speeds but in softer snow, it’s a really fun ride. 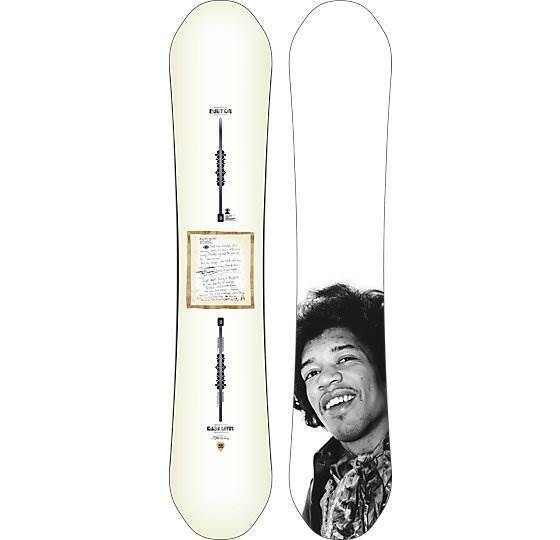 Powder: Very good for a twin with a centered stance thanks to the Flying V Hybrid Rocker profile. It’s got an easy float for a twin. Turn Initiation and Carving: Very easy and quick edge to edge. It’s quick and pretty fun for most turns but it just doesn’t really show up for a high-speed wide radius turn or carve. Speed: Pretty chattery at even moderate speed. It’s a lot worse when the snow is hard but it’s mostly fine for moderate speeds in the good soft snow. Uneven Terrain: Burton just knows how to flex over bumpy snow at slower speeds and the Easy Livin is no exception. Edge Hold: Same edge hold that is fine in soft conditions but can get a little scary in harder snow. If they added more edge hold it would be a much better all condition ride. Flex: Soft for a rider like me who is 190 lbs but closer to medium if you are middle to the low end of their suggested weight. Switch: Very easy either way. It’s only going to feel different buttering switch because the tip and tail have a different flex. Pipe: The pipe looked pretty hard and with my past experience with hybrid rocker Burton boards and their frostbite edges I wasn’t feeling adventurous. Jumps: Snappy and poppy even though I wasn’t using bindings with Hinge Tech. This is really fun to find natural terrain to pop off of and it’s pretty fun and forgiving in the park as well. Flying V-Rocker is similar to Never Summers Rocker Camber and Mervins C2 BTX except it has one more bend up at the nose and tail. 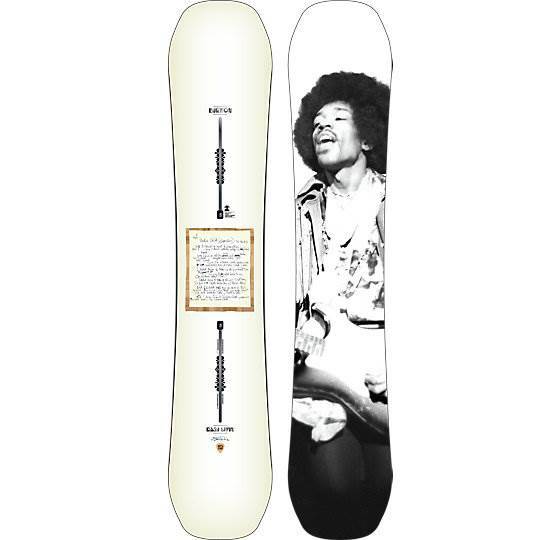 This has less stability between the feet and gives a slight advantage in powder. If you compare this to most hybrid camber boards it’s a little more loose between the feet which some could love or hate and there is more chatter. The Pressure Edge Distribution aka Frostbite Edges (1/2 mm extension between the feet) is not enough edge hold between the feet and it makes for a border line poor ride when it comes to edge hold. If you ride pow and in good conditions you won’t have an issue but it won’t do very well in less than ideal conditions. 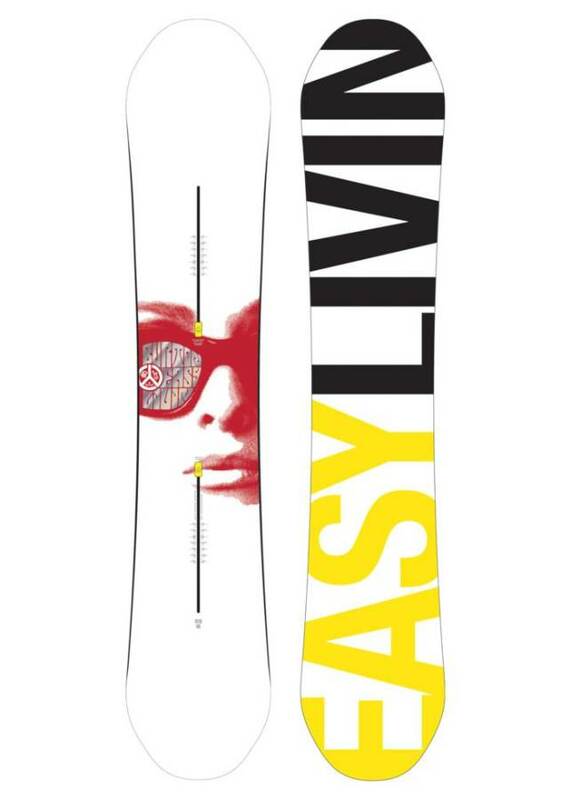 The 2012 Burton Easy Livin changed from hybrid rocker to a hybrid camber called Camber Humps. It totally changed the ride. It’s more aggressive but still less than camber, stable between the feet and had good edge hold making it a much better all conditions ride. 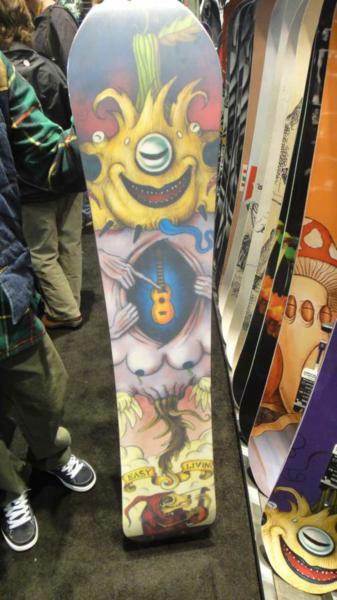 Unfortunately Burton was sued by a small company who claims this design is a copy of theirs. Weather Burton is in the right or wrong is not for us to say but we really liked this tech and we were sad to see it disappear. 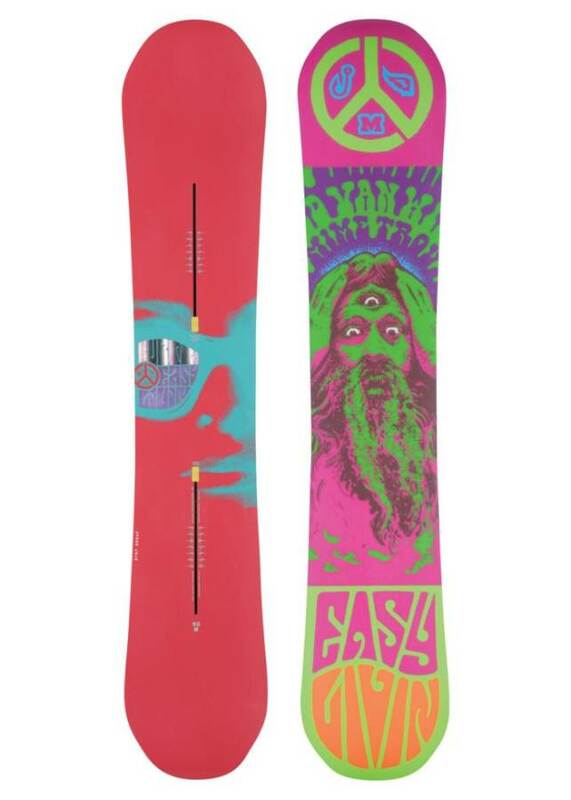 So the 2013 Burton Easy Livin brought back the hybrid rocker shape of Flying V which rides almost identically to the 2011 model. 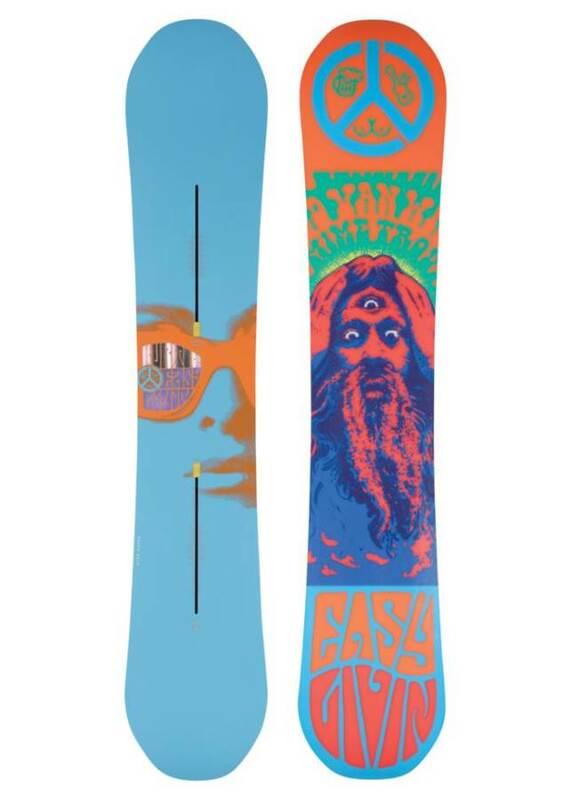 If you are light then the Burton Easy Livin Flying V will be ok but if you weigh a lot for your height you will bend this board like a noodle. Now the choice over camber vs. Flying V-Rocker is a tough one. 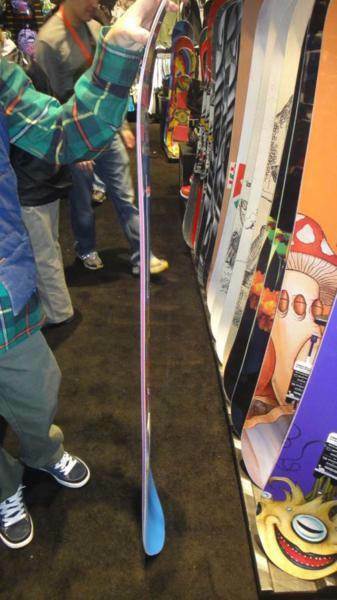 You will have more stability with Camber and it will do better on the big 40ft+ kickers. It will also be better in the pipe. The camber will also have better Ollie power but the flying v is getting closer to camber these days. The Burton Easy Livin Flying V will be a lot more forgiving and easier to do tricks. It will also do a great job on smaller jumps (40ft or less) and might help you pull of some off landings you couldn’t with Camber. In a lot of ways the V-Rocker could be considered excellent when it comes to jumps but it just doesn’t have the go big feeling that the camber does. 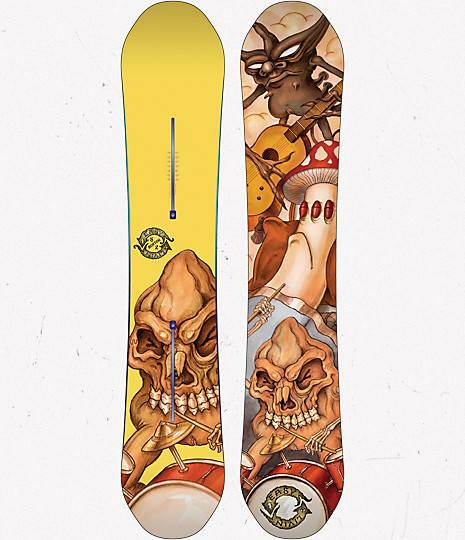 We try to get as many images of the Burton Easy Livin, but forgive us if they're not all there. 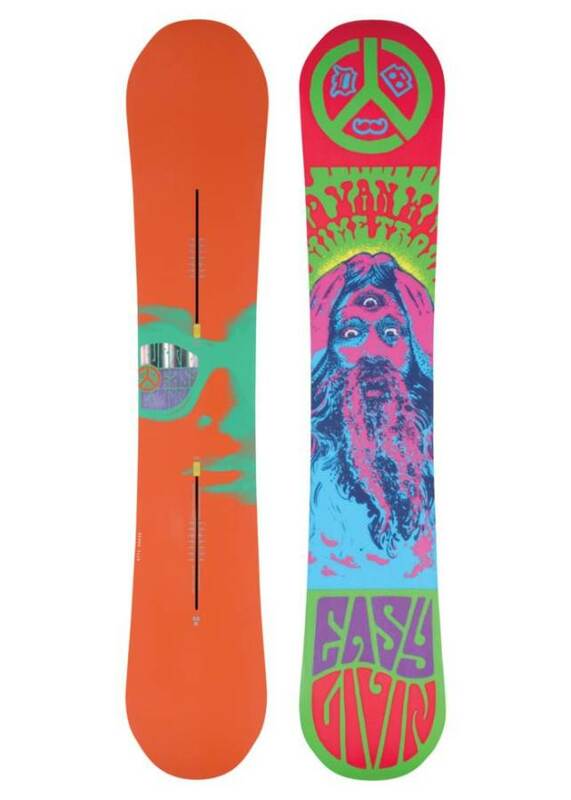 I bought my 2012 Burton Easy Livin 152 and Burton Mission EST bindings at the end of last season. 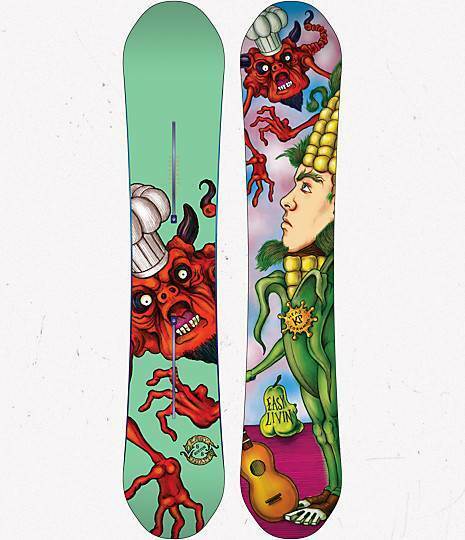 I used The Good Ride ratings to make my decision and match my board and bindings. I am completely happy with both of my purchases.